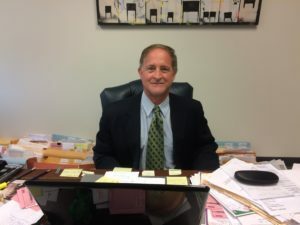 At the Rapaport Law Group, LLC, we dedicate ourselves to helping our clients through a wide range of legal troubles such as personal injury, workers compensation, civil litigation, automobile accidents, estate planning and wrongful death. Our firm was established in 1994, and we have over 32 years of practice experience. We know exactly how the system works and how to get you the results you deserve. We bring a personal touch to the legal system. Flexibility to adapt to your needs – When it comes to our insurance practice, whether you are filing a lawsuit or are the one being sued, we can take your case. We’re looking to work with both plaintiffs and defense. Decades of experience – With over 32 years of practice, we know exactly how to give your case the best chance for a positive outcome. Contact our office to work with highly skilled attorneys in the Northbrook area today. Located conveniently in Northbrook, Illinois, we serve the people of Cook County, Lake County and surrounding counties. We offer free consultations. You can reach the Rapaport Law Group, LLC at 847-534-5385 , or you can contact us online. Rapaport Law Group, LLC is located in Northbrook, IL and serves clients in and around Northbrook, Techny, Glencoe, Glenview, Deerfield, Highland Park, Wheeling, Skokie, Golf, Winnetka, Prospect Heights, Des Plaines, Park Ridge, Morton Grove, Highwood, Mount Prospect, Niles, Wilmette, Kenilworth, Chicago, Buffalo Grove, Elk Grove Village, Arlington Heights, Cook County and Lake County.